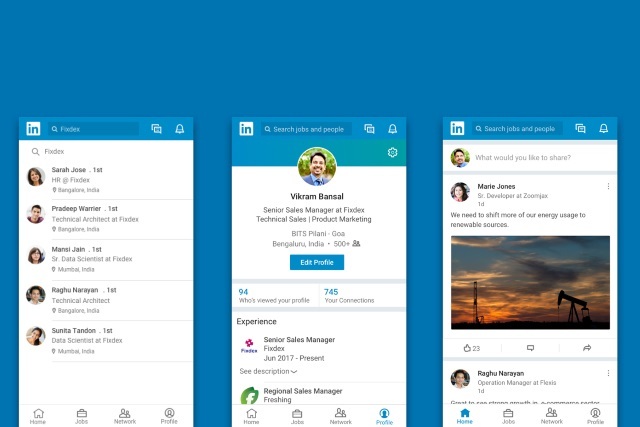 Just like Facebook did with Facebook Lite and Facebook Messenger Lite, Microsoft is launching a cut-down, data-sipping version of LinkedIn for mobile users. LinkedIn Lite launches in India initially, and is designed for countries with limited mobile internet access. This is an app designed for emerging markets, and as such it is Android-only; there are no plans for an iOS version. While LinkedIn Lite is starting out its life in India, it will eventually spread to a further 60+ countries. Microsoft has not revealed much about the future timeline for LinkedIn Lite, but a spokesperson speaking to TechCrunch has confirmed the future rollout to additional countries. The app itself weighs in at under 1MB, making it ideal for the lower-specced phones that proliferate India. LinkedIn Lite can even be used on a 2G network thanks to the fact that it uses 80 percent less data than the regular version of the app. Besides providing a fast, data-light solution for professionals in slow network areas, we hope the LinkedIn Lite app will democratize access to economic opportunity. Regardless of their device or location, we hope to level the playing field for all LinkedIn members so they can get closer to their dream jobs, grow their networks and become more successful. LinkedIn Lite can be downloaded from Google Play.